Dr. Abou El Fadl has written extensively on Egypt, the Arab Spring and the Middle East. In particular, he produced a large number of opinions starting at the beginning of the Arab Spring, and continuing all the way to its painful demise and aftermath. All of these writings can be found in the OPINIONS AND EDITORIALS section. We highlight some of the most well known and prescient pieces below. Included in the top recommendations are also several more in-depth articles that deserve serious study. "Egypt’s Secularized Intelligentsia and the Guardians of Truth," in Egypt and the Contradictions of Liberalism: Illiberal Intelligentsia and the Future of Egyptian Democracy, ed. D. Fahmy and D. Faruqi (Oneworld, 2017). EXCERPT: "Initially, I was tempted to write an essay wrestling with the question of why the liberal and secular intelligentsia betrayed the Egyptian revolution. There is an extensive list of Egyptian intellectuals such as Sa‘d al-Din Ibrahim, Ibrahim Eissa, Bassem Youssef and many others who have carefully constructed themselves into emblematic figures standing for secular and liberal values. 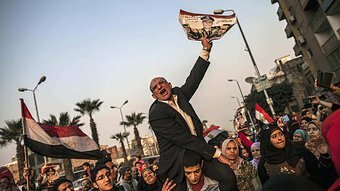 But what has transpired in Egypt from January 25, 2011 to date has cast serious doubt about the meaning and extent of both the secular and liberal commitment among the vast majority of the country’s intelligentsia. There is little doubt that Egypt’s intelligentsia betrayed the revolution that they claimed to celebrate and support. And there is no doubt that those who betrayed it the most are those who built entire careers bawling and orating about the modern nation-state, the citizenry, civic society, secularism, and democracy. But this intelligentsia ended up helping to uproot a budding revolution that still retained some degree of promise, replacing it with an inveterate condition of dreadful despair and wretchedness. Whatever one might say about the political order in Egypt before the military coup of 2013, at no point did the military regime of Abdel Fattah el-Sisi embody the promise of liberal democratic values. 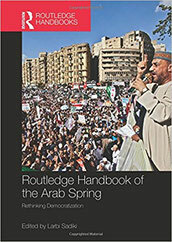 "Failure of a Revolution: The Military, Secular Intelligentsia and Religion in Egypt's Pseudo-Secular State," in Routledge Handbook of the Arab Spring (Routledge, 2015). 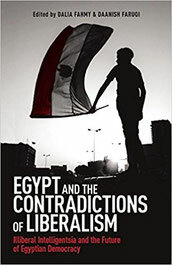 EXCERPT: "Initially, I was tempted to write an essay wrestling with the question of why the liberal and secular intelligentsia betrayed the Egyptian revolution. There is an extensive list of Egyptian intellectuals such as Sa‘d al-Din Ibrahim, Ibrahim Eissa, Bassem Youssef and many others who have carefully constructed themselves into emblematic figures standing for secular and liberal values. But what has transpired in Egypt from January 25, 2011 to date has cast serious doubt about the meaning and extent of both the secular and liberal commitment among the vast majority of the country’s intelligentsia. There is little doubt that Egypt’s intelligentsia betrayed the revolution that they claimed to celebrate and support. And there is no doubt that those who betrayed it the most are those who built entire careers bawling and orating about the modern nation-state, the citizenry, civic society, secularism, and democracy. But this intelligentsia ended up helping to uproot a budding revolution that still retained some degree of promise, replacing it with an inveterate condition of dreadful despair and wretchedness. Whatever one might say about the political order in Egypt before the military coup of 2013, at no point did the military regime of Abdel Fattah el-Sisi embody the promise of liberal democratic values..."
“The Praetorian State in the Arab Spring,” University of Pennsylvania Journal of International Law, vol. 34, 2013. 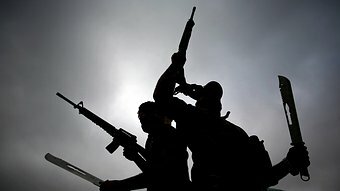 EXCERPT: "...One of the significant factors in the revolutions that have taken place in the Middle East is what a political scientist Amos Perlmutter once called the “Praetorian State,” which means basically militarized societies, or states where there is a large military, and the military is not so-to-speak in the barracks. Rather, the military has become part of the bureaucratic state and a substantial force in creating the middle class. It also signifies the rootedness of the military in the administrative structure and as well as the oppressive powers of the state. Egypt, Syria, Libya, Yemen, and other countries, including those that some have termed subaltern nation states, fit within exactly that description—where the military is like an octopus that has its tentacles in various aspects. In the Egyptian context, for instance, it is well known that most governors are ex-military, and most mayors are ex-military. In fact, part of the infrastructure of the country is the expectation that after spending twenty or so years in the military, upon retirement the government will appoint you, not just as a governor or a mayor, which after all constitute a limited numbers of posts, but even appoint you on the boards of private companies. I could give you a million examples, but just one example, I think, will make the point: there is a very successful company in Egypt called Oriental Weavers that makes rugs, and it is one of the few companies in Egypt that actually exports a good part of its products, including to the United States. And quite typical of numerous businesses in countries such as Egypt, Syria, Jordan, and so on, is that retired army officers are on the board of directors, and in fact, are even managers at various levels. When you talk to the people who run these businesses, it is quite clear why they hire or accept “the recommendation” to appoint retired army officers—because they do not want to clash with the state. It is a part of the cost of business. If you receive a friendly suggestion that you should appoint General such and such to your board of directors, or give them some managerial position, it takes a suicidal soul to say no. This is part of the reality that the revolutions, whether in Tunisia, Egypt, Syria, Yemen, have to confront and deal with..."
EXCERPT: "One of the most memorable images of the Egyptian Revolution is that of hundreds of people lined up for Islamic prayer in Tahrir Square in Cairo, in Alexandria, and in all of the other cities around the country. Hundreds organized into neat rows, standing, bowing, and prostrating in tandem to perform Islamic ritual prayer as they endured assaults of hot gushing water and tear gas by riot police. For a number of political analysts and commentators, such images of public religiosity and religious performance throughout the course of the Egyptian Revolution proved to be challenging, if not confusing. For some, it appeared paradoxical, if not incongruous, that despite the decidedly prominent role of expressions of Islamicity, whether through forms of expression of Islamic identity, such as collective prayer, or the invocation of Islamic symbolism, or the usage of Islamic phrases, the Egyptian Revolution was not a call for a theocratic government or an Islamic government. However, what is beyond dispute is that although the Muslim Brotherhood did play a limited role in the revolts, the Egyptian Revolution was not led or engineered by Islamists to bring about an Islamic state modeled after Iran or Saudi Arabia. Nonetheless, the display of religious symbolism was not simply an expression of cultural proclivities devoid of normative ideological commitments. To the contrary, Islam, and more particularly Shari’a, which embodies a set of values and normative commitments, played an important role in fueling and engineering the Revolution, and all indications are that it will continue doing so in the future. To the extent that this dynamic seems to be fundamentally paradoxical to many in the West, the Egyptian Revolution serves as an important indicator that we need a complete paradigm shift in the way we view religion and society, and religion and politics, especially as to the role of Shari’a in the age of revolutions in the Arab world..."
OPINION: “Is This the Dawn of a New Age of Unreason?” Religion and Ethics Website, Australian Broadcasting Corporation (July 26, 2016). EXCERPT: "...In the case of the Muslim world, it was natural that much of the opposition to the authoritarian and corrupt governments that replaced colonial rule would take the form of Islamic symbolism, rhetoric and theology. But what was not natural is that, apart from its odd incestuous relationship with the Wahhabi breed of Islam, Western governments were never willing to forego their impulsive distrust of a politically active Islam. For decades, local secular military regimes repressed Islamically-articulated opposition groups with relentless brutality, and Western governments settled into accepting a comfortable but immoral equation. As long as these secular military regimes continued to serve Western interests, Western governments overlooked their abysmal human rights abuses and gave them whatever support was needed to maintain power. "The eruption of mass protests - the so-called "Arab Spring" - was not motivated by Islam but by the fact that the status quo of containment and suppression was no longer possible to bear. People erupted because the regimes in power since colonialism have achieved very little for their own people, and at the same time, robbed people of their sense of self-worth and dignity. The way that these mass protests have been suppressed only exasperated the problems that gave rise to the protests in the first place. "It is clear that the West - led by the United States, Britain and France - wish to return to that status quo, where strong oligarchic regimes are kept in power, and these oligarchic regimes achieve containment and suppression of any possible threats to Western interests, and there would be a full return to doing business the same old way of special arrangements and back alley deals..."
EXCERPT: "...The real tragedy of great power is that it is fundamentally at odds with ethical conscientiousness and judgment. Don't get me wrong, "great power" will consider normative values, will engage in moral discourses and will reflect upon ethics, but it is invariably and persistently self-indulgent and self-serving. Great power will idolize itself, and demand obedience from whoever falls within its sphere. 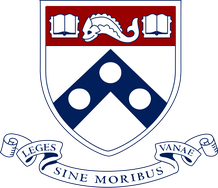 It will reflect on ethics, but ultimately will always reach the conclusion that whatever it does or decides is indeed ethical, and that all who are less powerful must sublimate and praise its virtues. And the highest form of sublimation is obedience. The tragedy of Israel's great power is that it has lost the ability to be restrained or proportionate. In other words, it has lost the self-critical insight and restraint needed for reasonableness. "I believe that the first principle of ethics is to pursue goodness and resist evil, but the second principle is to speak the truth of goodness and the shame of evil to great power. It is due time that we recognize that the critical premise of all moral acts is reasonableness, and that when great power acts unreasonably, great evil unfolds. Whatever the religion, nationality, ethnicity or race of this great power, the human suffering is always the same." OPINION: "The End of the Arab Spring, the Rise of ISIS and the Future of Political Islam" (April 23, 2015). EXCERPT: "It was once a simple dream that breathed life into the hope-starved spirits of so many. Ever since the French landed on the shores of Egypt in 1798, we have been in the grip of a past alienated from its history, an identity divorced from its memory, and insecure flashes of pride defeated by a deep sense of indignity. Then came the Arab Spring! So many thought the Arab Spring would allow the region self-determination, and would shift the gaze of the world away from the twin spectres of oil and Israel. 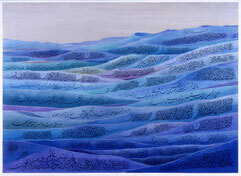 Perhaps the world would finally gaze upon Arabs without racism and Islam without bigotry. The Arab Spring was a resounding protest against everything, from the corruption of the West's corporate cronies - who exploit the region's natural resources so that they can enjoy the latest luxuries their colonial masters have to offer - to the foreign occupations and humiliations heaped upon all those who dared to think that they had a right to resist. The Arab Spring was about this magical word, hurriyya, which means different things to different people - but at a minimum, it means freedom from oppression, exploitation, corruption and a servile existence. 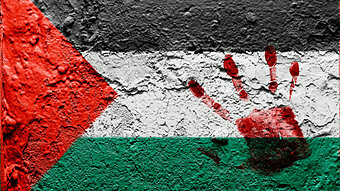 But the Arab Spring was like a foetus in an abortion clinic; it never had a chance..."
EXCERPT: "Khaled al-Qazzaz, the former secretary of state of Egypt's only freely democratically elected government, has been disintegrating, as a human being, in solitary confinement in the ignoble 'Aqrab prison in Egypt. "For those who do not know, the 'Aqrab prison was built under the reign of Hosni Mubarak to inspire terror and break the will of dignified human beings. It was built by Mubarak and has been filled beyond capacity under the equally ignoble reign of Abdul Fattah al-Sisi. "Last week, Al-Qazzaz leaked an op-ed to the New York Times, in which he asks a simple question: Where is the world? 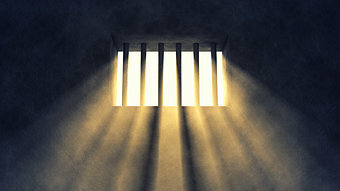 Why has he been languishing in al-'Aqrab for the past year enduring torture and humiliation, as so many others are sentenced to death, while the rest of the world is utterly silent? "You see, al-Qazzaz is a special but not unique case. He grew up in the United Arab Emirates where he enjoyed an elite education in a well-to-do household. His parents made money the old fashioned way - through hard work, professionalism and dedication. He did not have the privilege of growing up in the corrupted and infested environment of the native Egyptian elite who built their wealth from knowing how to play a system that is corrupt to the core. He completed his graduate and post-graduate studies in Canada, married a Canadian woman, and has three Egyptian-Canadian children. "After the revolution, like so many expatriates who dreamt of a new Egypt, he left his successful and comfortable life in Canada, and returned to Egypt to help rebuild a new democratic society. The reason for al-Qazzaz's confusion is that he believed - he believed in the impossible dream of a democratic Egypt not dominated by the military and its network of corrupt parasitical capitalists. Al-Qazzaz and Muhammad Morsi met with scores of world leaders who assured them of their principled support of a democratic government. Al-Qazzaz also notes that he worked closely with Western leaders to broker peace in the Middle East. He even worked closely with President Obama and Hilary Clinton to broker cease-fire agreements in Gaza, Mali and Syria. "Al-Qazzaz and his government, for the first time in Egyptian history, developed genuine relations with United Nations human rights organizations, and even invited the UN to open a headquarters for UN women in Cairo. Most importantly, for the first time, he opened venues for engaging UN international organizations in a serious initiative leading to the development of a human rights agenda. On the pages of the New York Times, al-Qazzaz directs an honest question to which he will never get a truthful answer: Why is the world - including all those men and women of high principles - utterly silent? "Not only is the world silent, but the world is complicit in the construction of the villain that they love to hate..."